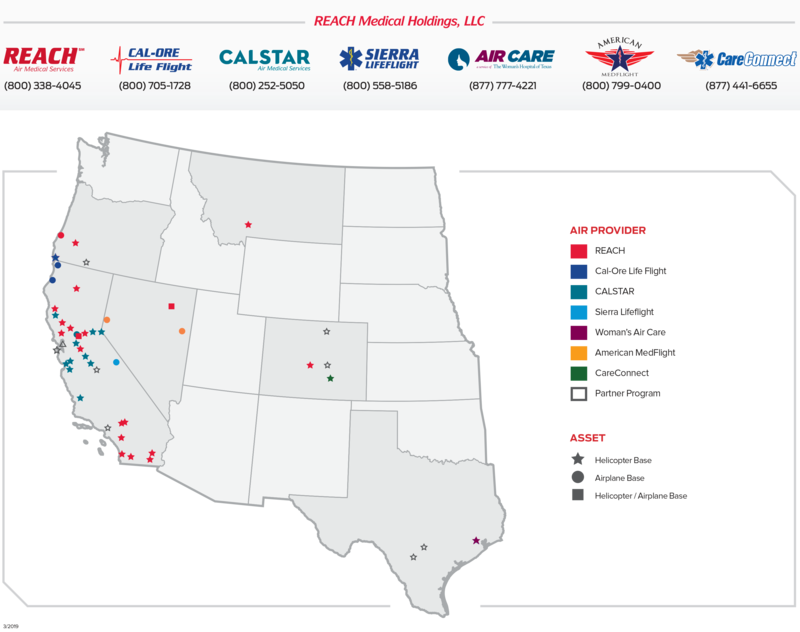 To view helicopter and airplane service areas for REACH Air Medical Services, American MedFlight, Cal-Ore Life Flight, CALSTAR Air Medical Services, Sierra Lifeflight, CareConnect, or Woman’s Air Care, click on the PDF icon next to the base location below. *Hospital/EMS Agency Partnership. REACH provides aircraft, pilot, and maintenance technician; client provides clinical team.